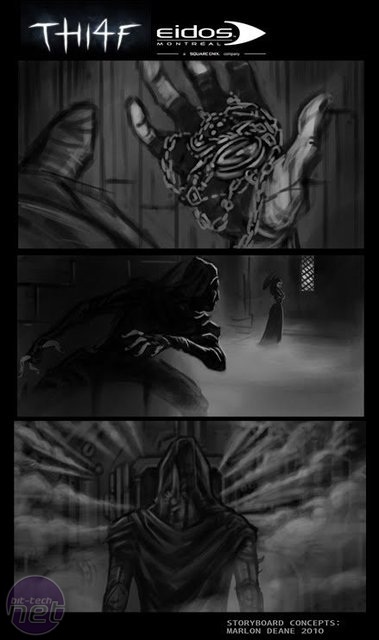 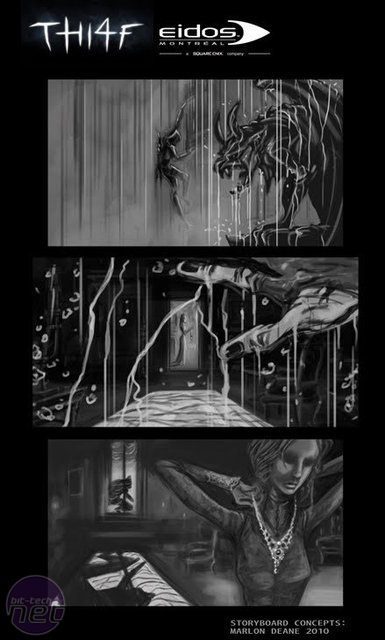 Images supposedly from a storyboard sequence for Thief 4 - which we still refuse to call Thi4f, despite Eidos' insistence - have surfaced online. 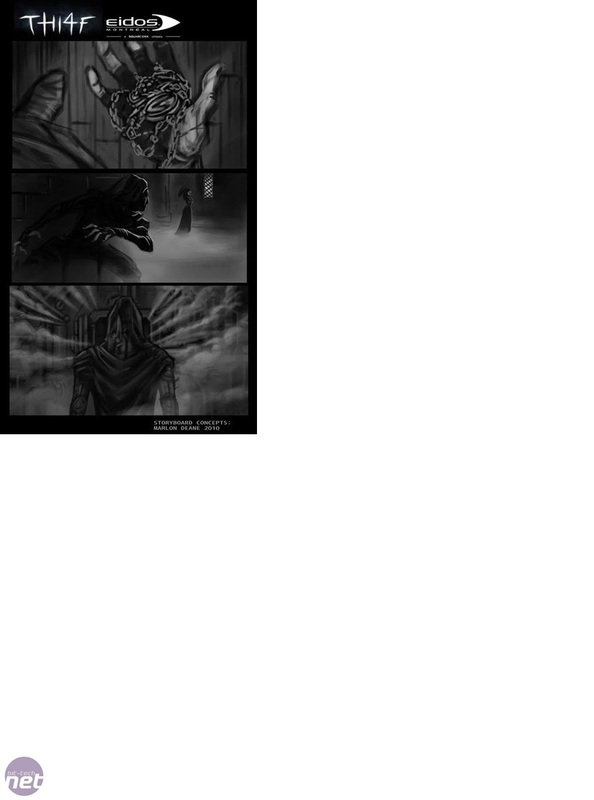 The images were posted on the personal blog of Marlon Deane, an artist working for Goldtooth Studios - the same company behind Deus Ex: Human Revolution's cutscenes. 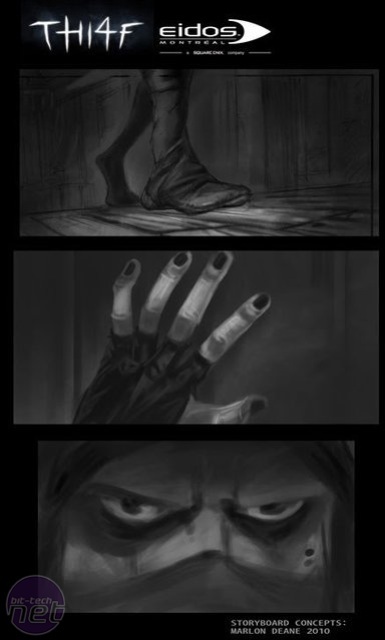 The blog has since been taken down, along with threads discussing the images on Thief 4's official site, but Eidos has not yet released a comment. 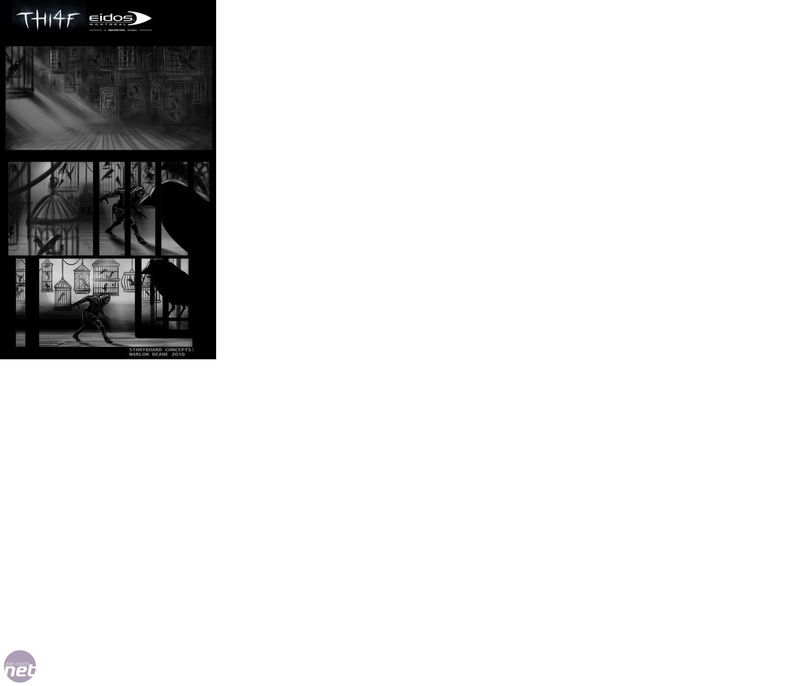 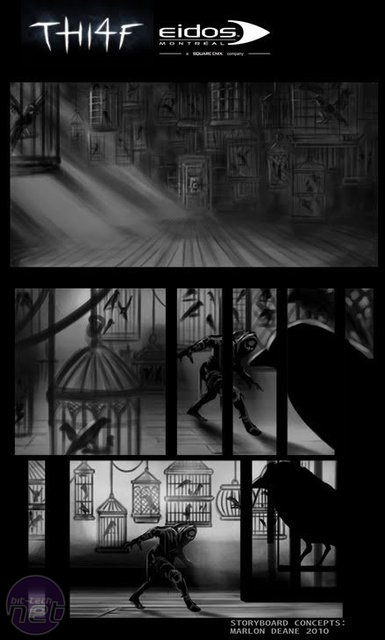 Interestingly, the storyboard images indicate that Thief 4 will stay with the semi-medieval setting used in previous Thief games, rather than the modern setting proposed by original Thief developer Looking Glass Studios. 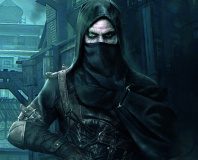 With Looking Glass Studios having sadly long since expired, development of Thief 4 passes to Eidos Montreal - who recently released Deus Ex: Human Revolution. 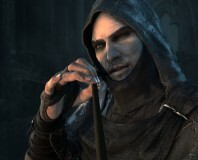 Eidos Montreal art director confirmed to Eurogamer that the team was refocusing on Thief 4 back in June. 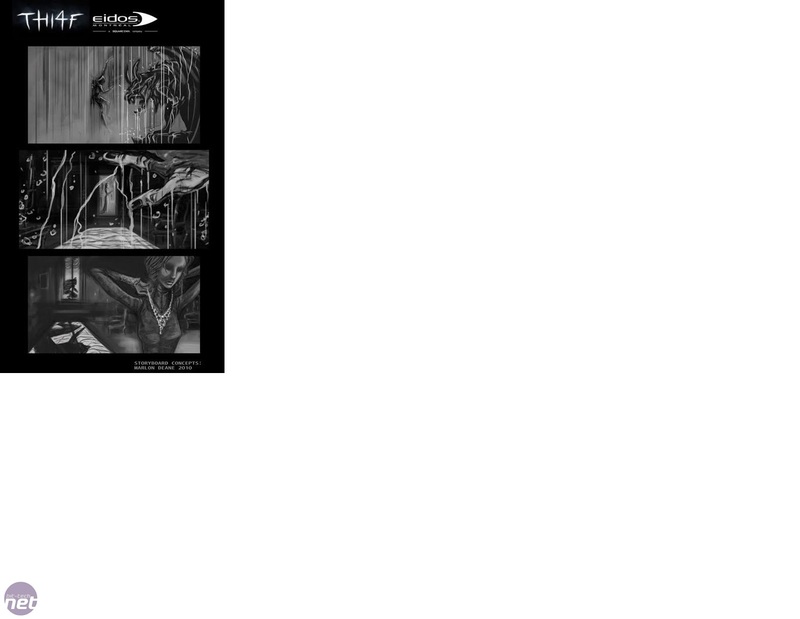 Check out the images below, read Joe's reminiscing about the Thief series, then let us know your thoughts in the forums. 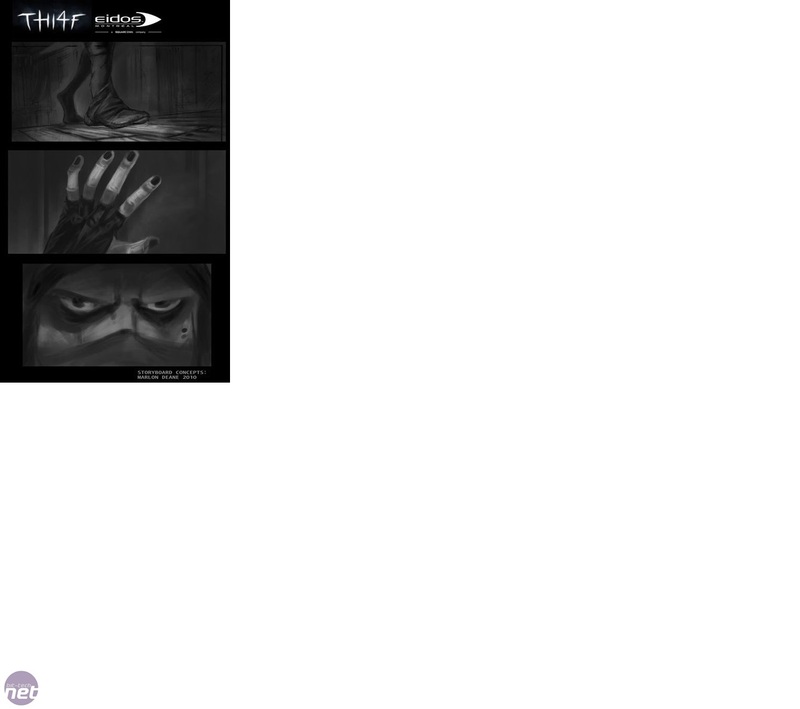 Patch due in March, says Eidos.